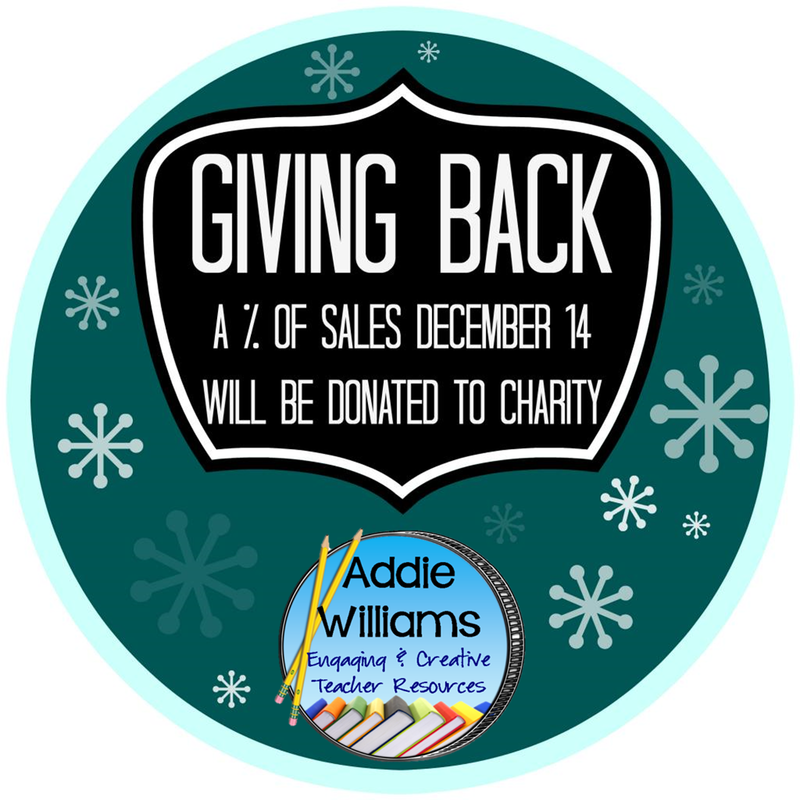 It's the time of year when I think it's important to share with others if you are able.... so this year I'm joining forces with some of the amazing sellers on TeachersPayTeachers.com to donate a percentage of the profits from our sales on Dec. 14th, 2014 to the charity of our choice. Thanks to Erica at Nitty Gritty Science for the fabulous idea! I'm going to donate 50% of my sales tomorrow to my local Christmas Hamper Society - a wonderful group who bring Christmas cheer to local families who might be struggling during the holiday season. There are many other sellers participating in the Day of Giving Back - check out their stores below!